FRISCO, TX--(Marketwired - Oct 6, 2014) - Quest Resource Holding Corporation (NASDAQ: QRHC), a leader in sustainability, recycling, and resource management, announced today that its wholly owned subsidiary, Earth911, Inc., is beta launching a new e-commerce offering that gives consumers the ability to confidently make environmentally responsible purchases. The e-commerce site, which is branded under the name YouChange®, will be a central market resource for thousands of sustainable products for everyday life -- from cosmetics to home furniture to apparel and everything in between. "Earth911 has been an information and media resource for readers who are concerned about the environment for more than 20 years," said Earth911 President, Jeff Cheney. "However, we realized we had the opportunity to take it a step further by allowing consumers to take action. YouChange enables readers to use their purchasing power to drive the demand for sustainable and ethical products." Each product currently available in the YouChange marketplace was vetted by the Earth911 team and many are also reviewed by a third-party organization, such as Green Seal or Good Housekeeping. Each product's eco-friendly characteristics, such as toxic free, cruelty free, certified organic, and vegan, is clearly marked in the product description, giving consumers the ability to find products that fit their needs and lifestyle. The marketplace features green products from both large and small suppliers, including handcrafted goods. YouChange encourages and relies heavily on consumer interaction to rate products and share recommendations within the Earth911 community. If a product is found to fall short of the marketplace's standards, Earth911 will suspend the product until the necessary changes are made. Since its inception, Earth911 has been dedicated to affecting change. YouChange is the next phase of Earth911's evolution, enabling consumers to send clear market signals and drive more companies to consider sustainability in product formulations, packaging, and retail strategies. For more information, please visit youchange.earth911.com. Earth911 (earth911.com) is a lifestyle and media publishing company that helps consumers live a zero waste lifestyle. Earth911 connects advertising partners with consumers in all aspects of their daily lives, from work and home to food and style. In addition, Earth911 offers the largest directory of recycling information in the United States and the recently launched YouChange (youchange.earth911.com), an online marketplace for sustainable products. 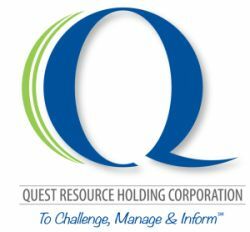 Earth911 is a wholly owned subsidiary of Quest Resource Holding Corporation (NASDAQ: QRHC).